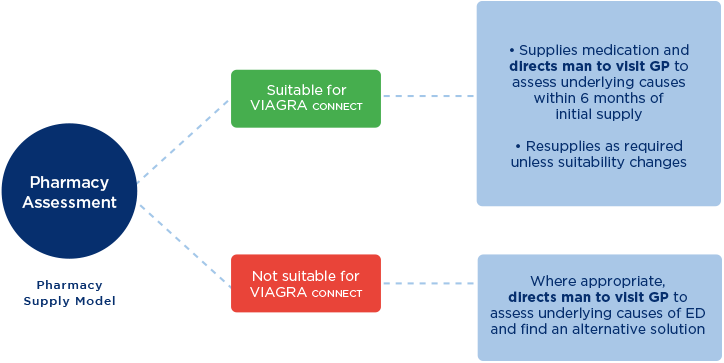 The launch of VIAGRA connect as an over-the-counter (OTC) medicine makes it more convenient for men with erectile dysfunction (ED) to access treatment through a regulated route. For some men, it could be their first direct interaction with a healthcare professional in relation to ED. 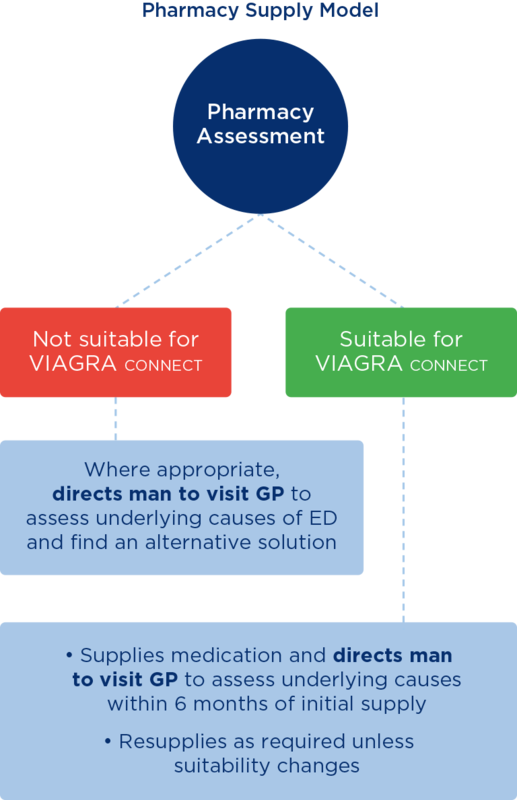 The pharmacist's role in supplying VIAGRA connect goes beyond offering convenient product access, they will have the opportunity to provide lifestyle advice and encourage men with ED to visit their doctor for a health check. 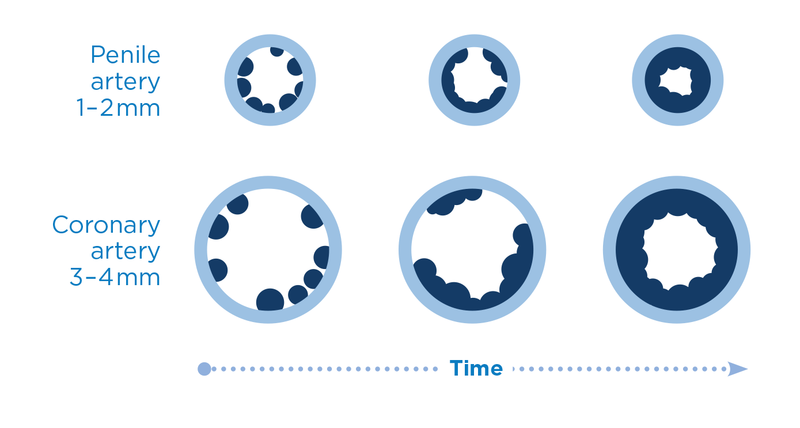 ED may occur for a number of reasons, but one of the major causes is the development of underlying cardiovascular disease (CVD).1 Identifying these men as early as possible provides a good opportunity not only to deal with their ED but also the underlying cause(s) of their ED – potentially leading to a general improvement in men’s health. Pharmacists have been provided with extensive training to help them manage the OTC supply of VIAGRA connect. As part of the supply process, they will ask patients a series of questions to determine suitability. These questions are shown in the VIAGRA connect Checklist. The VIAGRA connect Checklist includes two tear-off slips. One slip is for patients who the pharmacist considers are suitable for VIAGRA connect. The pharmacist can give this to the man as a record and reminder of the date the product was first supplied. The slip may be used to facilitate resupply requests in the future provided there is no change in the man’s cardiovascular health, medication or medical conditions. These men will be directed by the pharmacist to visit their GP within 6 months of first supply to assess the underlying cause of their ED. The other tear-off slip is for patients who are deemed unsuitable for VIAGRA connect.The pharmacist can provide a written reason for non-supply so that the man can bring this to his GP to facilitate the ED conversation. As a result, GPs are likely to see an increase in patient referrals for ED from community pharmacy. NICE Clinical Knowledge Summaries. Erectile dysfunction. Accessed October 2018. Nehra AJ, et al. Mayo Clin Proc 2012;87:766–78. Montorsi P, et al. Am J Cardiol 2005;96:19M–23M. Kirby M & Jackson G. Trends Urol Men Health 2011;2. Miner M. J Androl 2011;32:125–34. NHS UK website. Accessed October 2018.